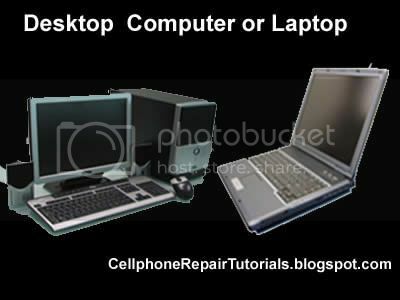 A Personal Computer may help for storing support guides and manuals, A PC is also the key tool when it comes working on software like flashing and unlocking mobile phones. It is also being used to apply any applications such as Themes, Games, Mp3 music and ring-tones and any other application and add-ons to the cellphones by using a USB cable wire or blue-tooth device attach to it. A large Memory storage or Hard disk is also required for storing many softwares and programs just only for mobile phones. 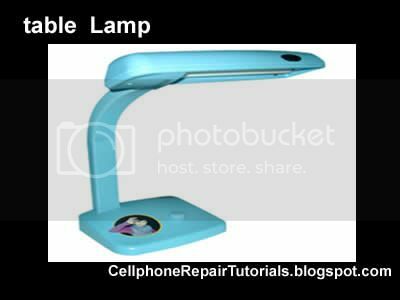 a table lamp is also require on a working table, it adds visibility when fixing things on a table like cellphone because cellphone parts are too small enough to handle. 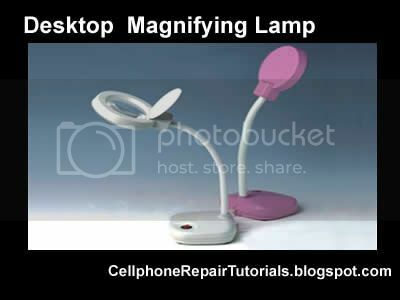 A magnifying lamp is much better for repairing tiny parts on a cellphone specially when it comes working on soldering a component and to avoid risk of damaging to other parts. 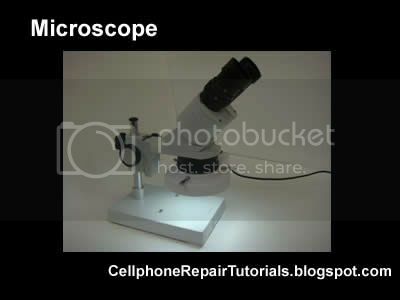 A microscope is used by many experts in finding problems such as cracks, breakage and damaged PCB's (printed circuit board) which is invisible to human eyesight. If you feel too heavy and have not enough money yet to buy this devices don't worry you can still fix cellphones without this equipments. You can still do repair such as, LCD replacements and other problems that this devices is not necessarily to apply. Feel free to start from scratch and buy all you can when you start to have enough money to purchase it.